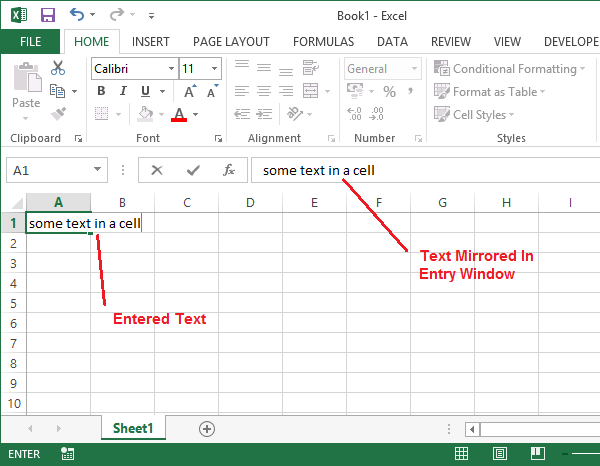 Now that you know your way around Microsoft Excel 2013 its time to start entering data and doing something useful. When you start up Microsoft Excel you will see a blank Worksheet like the one below. There are three basic type of information that can be entered in to a cell. 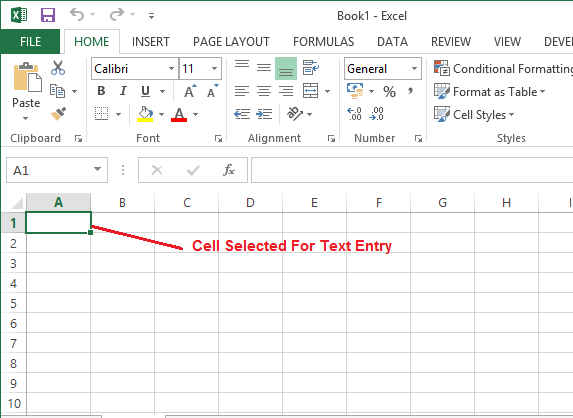 Text – This is just a piece of non-processed information such as the title for a cell, a label or some instructions to the user. Formulas – A cell containing a formula performs some sort of action dependent on the content of the formula. Pressing Enter will take you to the same column on the next row. Pressing Tab will take you to the next column on the current row. Pressing the Arrow Keys will move the insertion pointer in the appropriate direction.